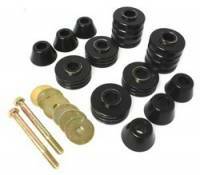 Body Mount Bushings are made of rugged polyurethane material and replace distorted and worn-out original rubber mounts to maintain car body alignment. 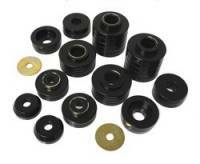 Polyurethane body mounts are rugged enough for the most demanding track. 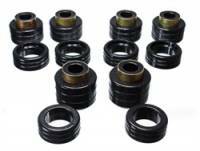 Most sets have a strong zinc plated steel ring molded into them for added durability and when the application requires it.